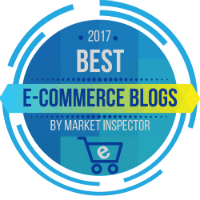 We are honored to announce that API2Cart appears on the list of the best 2017 eCommerce blogs according to Market Inspector. “With eCommerce businesses rapidly expanding their market presence, blogs have become one of the most important resources out there for those who are looking to start their own e-business. In particular, when developing an eCommerce business, it is important to always stay up-to-date on the latest news and industry trends.” - says Market Inspector in the blog post. The list contains 40 most outstanding blogs worldwide and is divided into 5 parts according to the main topic: inspirational, marketing, eCommerce platforms, eCommerce tips, the UK blogs. Thank you for staying with us! Keep following API2Cart blog to stay updated regarding all the latest eCommerce and API technology trends.